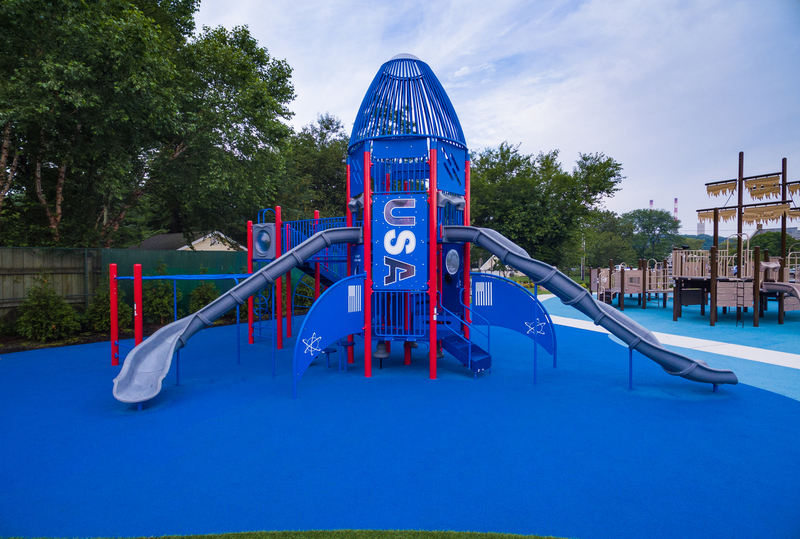 Brookhaven, NY, January 3, 2018 - LKMA is proud to announce that its innovative design concept for the Clinton H. Lee Memorial Park, commonly known as Rocketship Park, located in the Village of Port Jefferson, NY has been selected for a top-rated Diamond Award in the 2018 Engineering Excellence Awards from the American Council of Engineering Companies (ACEC) of New York. Design concepts included equipment selection that emphasized inclusive play for children of all ages and abilities, a site plan maximizing parental supervisions, rubber surfacing providing fall protection and doubling as an accessible surface rather than previously used sand. “As a parent, it was a rewarding experience to work with the Village to renovate the park I grew up playing in. 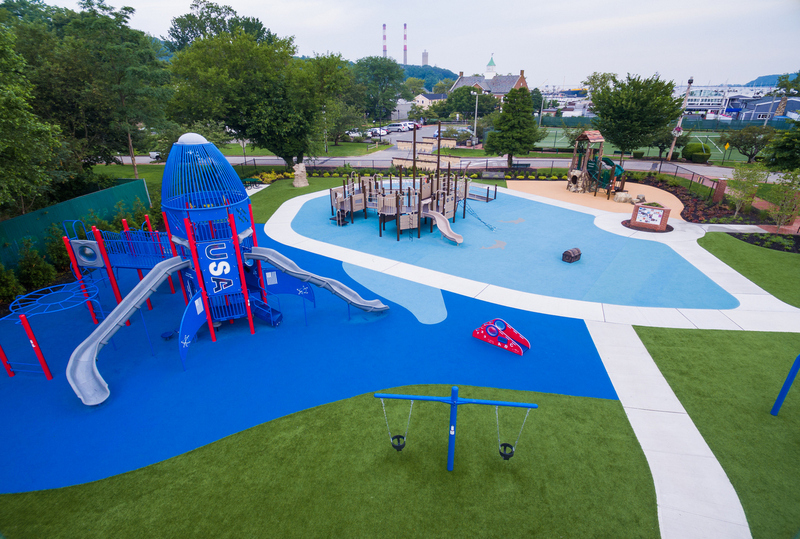 The park now gives kids of all ages and abilities the opportunity to play and enjoy such an iconic landmark. We are thrilled at such an honor by ACEC,” commented Associate and Project Manager, Chris Dwyer. Each year, over 60 member firms submit projects that are judged on a rigorous set of criteria, which includes complexity, innovation and value to society. These projects are judged by a panel of industry experts, which includes military and government officials, ACEC National and International leadership, educators from college and university engineering departments, and leadership from other organizations dedicated to the built environment. Awards are distributed based on the average scores received by these judges and are assigned one of four levels, (in ascending order): Silver, Gold, Platinum, and Diamond. LKMA will be accepting the 2018 Diamond Award for Engineering Excellence in Special Projects on April 7, 2018.